Sep 1, 1914 – 100 Years Ago – Madonna Mae Montran. Sep 15, 1915 – She Kissed Polititians at Republican Banquet (Boston). JAN 27 – Boston Sunday Post – Play With Dolls To Banish Fatigue? April 10, 1918 – Dinna Montran & George Kinnier forming an act for the Moss and Loew Circuits. Jan 31-April 25, 1919 – Donna Montran and Trixie Bressler in a new sketch by Roland West. Sep. 15, 1919 – Lancaster, Colonial Theater. Oct 30, 1919 – Donna joins “Chin Chin Cast;”plays Lincoln Square Theater in Decatur, IL – Callout. Nov 24-25, 1919 – Nov 24-25, 1919 – Salt Lake Theatre, Salt Lake City, Utah. Nov 26, 1919 – Orpheum Theater – Ogden, Utah – Callout! Dec 3, 1919 – No Show – Girls at American Legion See Dec 4th for details. Dec 4-7, 1919 – Pinney Theatre – Boise, ID – Callout! Dec 10, 1919 – Oregon Theatre – Pendleton, OR – Callout! Dec 25-27, 1919 – Vancouver, British Columbia, Canada – Avenue Theater – Callout! Jan 5-6 – Medicine Hat, Alberta, Canada – Empress Theatre – Callout! Feb 1-7, 1920 – Minneapolis, MN – Metropolitan Opera House – Callout! Feb 12, 1920 – Eau Claire, WI – Grand Theatre – Callout! Feb 15, 1920 – Fort Wayne, IN, Majestic Theater. Feb 19, 1920 – Logansport, IN – Nelson Theater – Callout! Feb 20-21, 1920 – Grand Rapids, Michigan – Powers Theater – Callout! Mar 20, 1920 – Greenville, PA – Laird Opera House – Callout! Mar 29, 30, 31 – Akron, OH – Grand Opera House. April 1, 1920 – Canton, OH – Grand Opera House – Callout! April 2-3, 1920 – Dayton, OH – Victory Theater – “Chin Chin” – Callout! July 8, 1920 – Engaged for part in the Louise Hugg-Albert Capellani picture. July 14, 1920 – Bathing Girls show postponed. Aug 09-21, 1920 – Philadelphia, PA – Metropolitan Opera House – Original California Bathing Girls. Sep. 22 thru 25 – Albany, NY – Clinton Theatre – The California Bathing Girls. October 5-6, 1920 – Alexandria, IN – Liberty Theatre – California Bathing Girls. October 14-16, 1920 – Camden, NY – The Towers Theatre – California Bathing Girls. Oct 25-30, 1920 – Wilkes-Barre, PA – Capitol – Donna Montran and her California Bathing Beauties. 10 November (Possibly later) – Immediately after being at Fay’s in Providence) – Colonial Theater, Newport, RI. December 22-25 – Palace Theater – Hartford, CT – California Bathing Girls. Dec 29, 1920, thru 1 Jan 1921 – Bridgeport, CT – Plaza Theater – California Bathing Beauties. (Bridgeport Telegram & Bridgeport Evening Farmer. Jan 13-15, 1921 – Paterson, New Jersey – Majestic Theatre — Donna Montran and her Bathing Beauties – News. Date unknown [May or June] – Donna Closed the Show for the Summer. Donna plays in WilkesBarre Next. Aug 10, 1921 – “As you Like it at Asbury Park. this week. Aug 26, 1921 – Rehearsed with Lee Stewart. 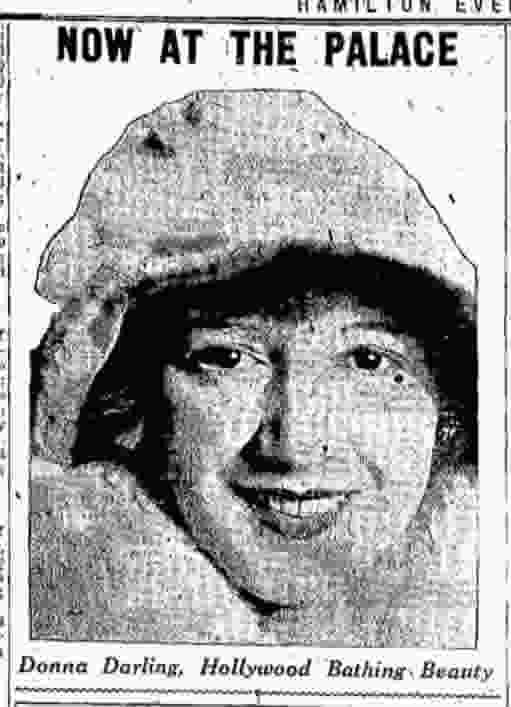 September 21, 1921 – Donna Montran is playing Keeny’s Bay Ridge and the Alhambra, Brooklyn, this week. October 5, 1921 – Donna Montran has two dancers from the former Crossen revue in her act, and is working up New York state. December 28, 1921 – Donna Montran, with Murray Walker and Walter Davis, opened in Philadelphia, last Monday, in a song and dance skit. January 11, 1922 – Walter Davis, formerly with the vaudeville turn of Donna Montran and Co., will team up with Jack Cook in a burlesque turn. Jan 26, 27, 28 – Binghamton, New York – Binghamton Theater. Donna Darling and Boys: Oh! Boy. Don’t Miss This One! Feb 6, 7, & 8 – Chestnut St. Opera House, Sunbury, PA (Source: DDC). MAR 14 1922 – MASSILLON, OH. May ? ?-11, 1922 – Perth Amboy – Crescent Theatre, Donna Darling & Company in “As you Like It” – DDC. Note: Possible conflict with B. F. Keith’s Greenpoint. May 22-24, 1922 – F.F. Proctor’s 23rd Street Theater (at 6th Avenue) New York, NY – Donna Darling & Co.
June 1-3, 1922 – F. F. Proctor’s 125th Street (Park & Lex) New York, NY – Donna Darling & Company. June 2, 4-6, 1922 – F.F. Proctor’s 58th Street Theater, New York – Donna Darling & Company. June 7 until about July 10, 1922 – Donna goes to Detroit to have her tonsils removed and takes a vacation. August 28-30, 1922 – Dayton, Ohio – B. F. Keith Strand – Donna Darling [& company] – Newspapers.com. Aug 31-September 3, 1922 – Louisville, Kentucky – B.F. Keith’s National Donna Darling & Co.
NOV 9 1922 – SYRACUSE, N.Y.
December 1922 at The Majestic Theater in Paterson, NJ. JAN 19 1923 – HORNELL, N.Y.
April 7-9, 1923 – Minneapolis, Minnesota – New Palace – Dona Darling & Co.
July 1, 2, 1923- Keokuk, IA – Regent – Donna Darling & Co.
October 25-26, 1923 – Columbia, South Carolina – Columbia Theatre – Dona Darling // Donna Darling – Genealogy Bank. 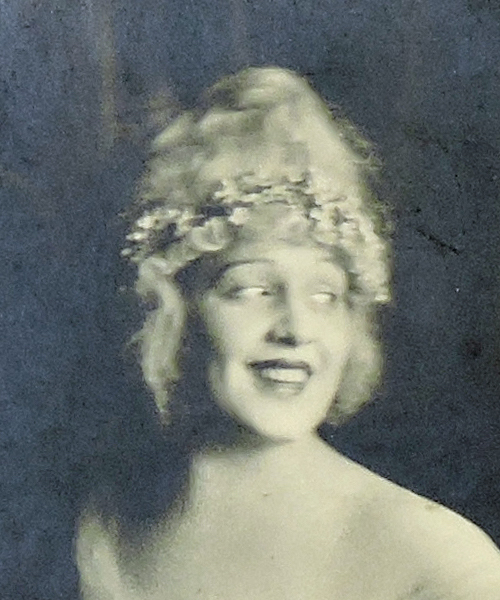 December 9, 1923 – Oklahoma City, Oklahoma – Orpheum – Donna Darling and her Revue. March 20-22, 1924 – South Bend, Indiana – Blackstone Theater – Donna Darling and Boys – Newspapers.com. JUN 2 1924 – OAKLAND, CA. – State Theater 0 Donna Darling & Company – Newspapers.com. “Donna Darling” circa August 1924. Probably August 1924 – Louisville, Kentucky – Photo Donna Darling and Earle. September 25, 1924 – Alton, Illinois – Hippodrome – Donna Darlings Bathing Girl Revue. DEC 18 1924 – WAUKESHA, WI. January 7-10, 1925 – La Cross, Wisconsin – Rivoli – California Bathing Beauties Revue. Newspapers.com. February 1-7, 1935 – Apollo Theater, Peoria, Illinois – Hollywood Motion Picture Bathing Beauties featuring Donna Darling. Part 1 of 2. FEB 24 1925 – KOKOMO, IN. March 9-11, 1925 – Huntington Theater, Huntington, IN. MAR 26 1925 – RUSHVILLE, IN. May 24-? 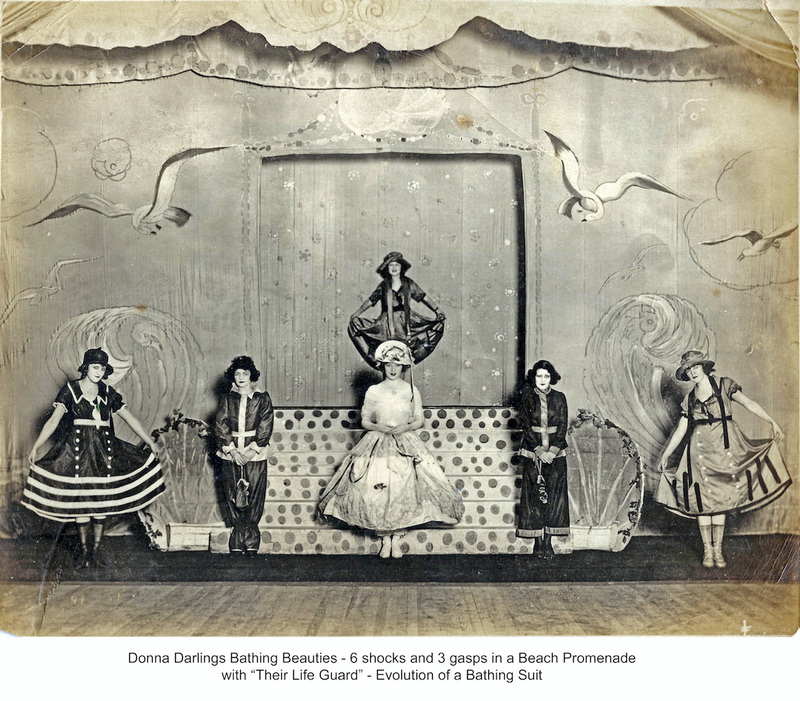 ?, 1924 – South Bend, Indiana – Blackstone, – Donna Darling and her Bathing Girl Revue. Newspapers. TBD (Between Sep 1925 and June 1927)- Donna Darling Review, Savannah, GA.
January 2, 1926 – Port Huron, MI – Majestic Theater – Donna Darling and Her Girls. June 6-12(?) – Fox Washington Theatre, Detroit, Michigan – Donna Darling’s Metropolitan Five. Ref: DCC-Part 36. June 21, 22, 23 – Capitol Theater, Kitchener, Ontario – Darling & Clark – Metropolitan Revue. SEP 7 1926 – ALTON, IL. Newspaper Archives. Experienced the Monterey Earthquake of October 22, 1926. November 16-17, 1926 – Aberdeen, Washington – D & R Theater – Donna Darling Revue with Sammy Clark (DDC). DEC 4 & 5, 1926 – LACROSSE, WI – Majestic Theater – Newspaper Archive & 2. December 12-18 (? ), 1916 – Donna and Sammy were in Chicago doing their Christmas Shopping. According to a Variety article on 16 Feb 1927, Donna had played in 40 of the 48 states in the previous 10 months [April 1926?-February 1927] not playing in AL, FL, GA, MS, NC, SC, TN. & VA. I have her in, CA, IA, IL, MT, NJ, NY, WI, and WV. So I am looking for her showing in at least 32 more venues during that period. c. 1930 – Panama – A “Cabaret Girl” at the Fort Amador Beach Club in Panama. Memories of 1961 – Kid Shows and Poker with Grandma. Investigate the life of Thomas Valentine Rooney from about 1900 until about 1930. Investigate the life of George Kennier from about 1903 until about 1933. Lives of Alice Dean, Alice Eldridge, Dorothy Smith, Lola St. Clair, Helen Travisand, Marie Thompson, Adrian Wally, Bobby Tremaine, and Earl Lindsay. Ref: DDC-20.